Water leaks and seepage in your basement can destroy your belongings and living space. Homeowners often contact us when they experience basement seepage problems and need waterproofing systems. Before resolving the issue, it must first be determined where the water is entering the basement. The team at Jerry's Waterproofing are basement waterproofing experts and can be counted on to make sure your basement is moisture-free in no time. Water can seep through foundation wall cracks whether you have brick or cinder block walls. Over time, the mortar between the bricks or blocks starts to deteriorate, increasing the chance of water finding its way into your basement. Cracks can also occur in a poured concrete wall. 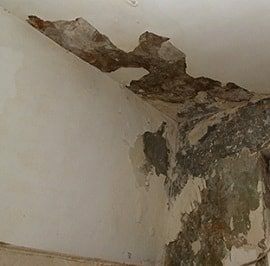 These cracks are usually caused by foundation settlement, stress, and shrinkage. Water often enters the basement through incorrectly installed or defective windows and window wells. Egress windows are an effective solution. Window well covers can also be installed to redirect the water away from the basement window. You may also have water entering through foundation cracks. The best way to solve this issue is to install interior and exterior drainage systems along with a sump pump. These systems will reroute water and make sure that it cannot build up near the foundation to enter your basement. If you have basement seepage, let Jerry's Waterproofing know right away. We can help you prevent the seepage in your basement from turning into a huge mold problem or a flooded basement. By installing one of our premiere basement waterproofing systems, we can help prevent further damage and restore any present water issues. Contact our waterproofing team now to have your seepage problems analyzed and taken care of professionally. We provide several different options that will take care of the moisture in your basement and help protect the belongings that you store there. Jerry's Waterproofing even offers free estimates for basement waterproofing. Call or email us as soon as possible to find more information!